he!!o. 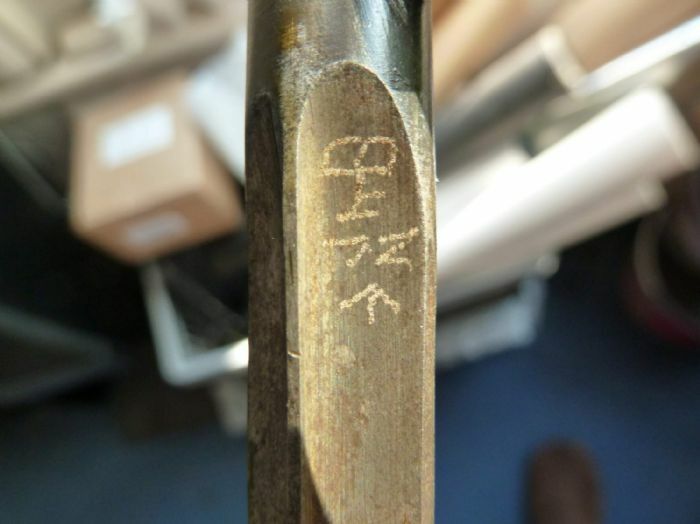 Have all Nr.4mk1 bayonets been marked with an electric pencil? No. All No4Mk1 bayonets are made by Singer Manufacturing. and on the underside of the release button SM41 or SM42. Please post a photo of your bayonet. There are fakes around due to the value of these now. There may be electro pencil from Canadian service;(C with broad arrow inside it) I've seen that on a No4Mk2 bayonet blade that I have. he!!o. Thanks for the answer. It's about marking on a crosshole made of electric pencil at the top. Some of our more experienced colleagues here may be able to tell you what those marks relate to. apart from the broad arrow at the bottom; it's not one I recognise.